Did you know that you can be fined up to $500 for not properly cleaning your boat after use? What was once a suggestion to prevent the spread of invasive zebra mussels is a state law. First spotted in Michigan in 1988, zebra mussels have made their way into Texas lakes by hitching a ride on boats, watercraft, trailers and fishing gear. Always Clean, Drain and Dry your boat to protect our waterways. 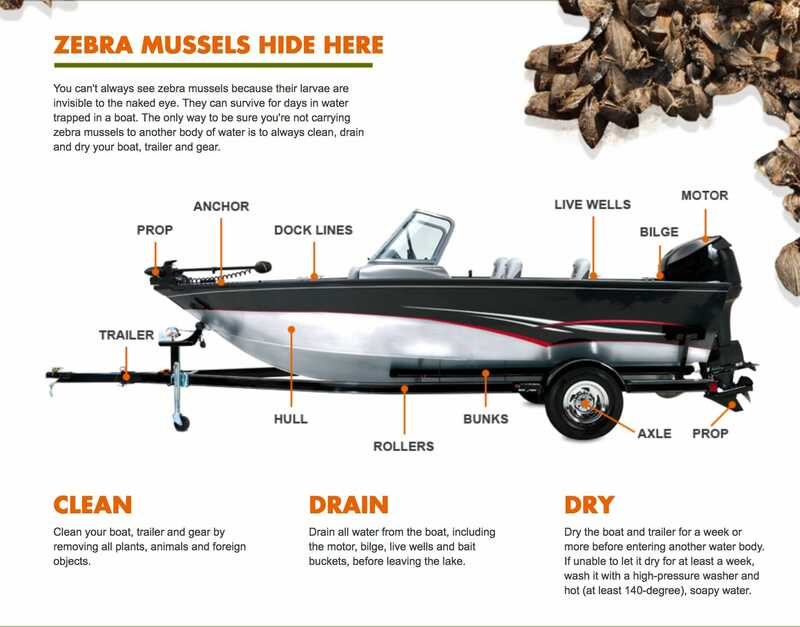 Learn more about zebra mussels and the Clean, Drain and Dry campaign.